Would you be interested in doing a performance inJapan? Make a reservation now to have a show in 2014 at theaterKASSAI ! 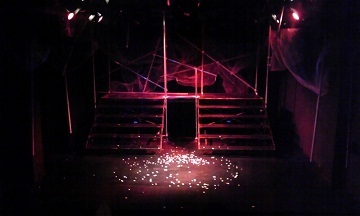 We are ''off Broadway'' theater at Ikebukuro, which is one of the famous towns in Tokyo, especially for performing arts. Guess what ʺKASSAIʺ means? It's ʺApplauseʺ in Japanese. As the name shows, we have kept trying to offer remarkable performances to get loud applause. It is conveniently located as 6 minutes walk from Ikebukuro station, one of the biggest stations in Tokyo. 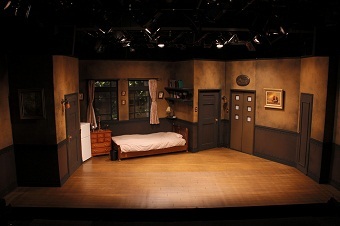 The space is a charming proscenium-style theater with a 6.1m x 5.5m stage and 4m height. You can create what exactly you want at this square-shaped place. 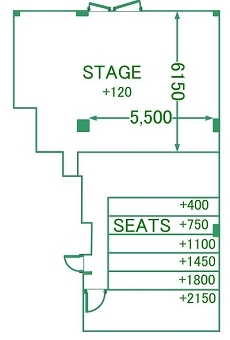 It has 100 seats, which have a steep slant in order for audience to enjoy impressive performance just in front of them.